If your home or business has experienced storm damage, Houser Roofing is here to help. As your Top Rated Local®, CertainTeed certified, local roofers in Sealy, we offer roof repair, whether metal or shingles and roof replacement services to South Texas. The integrity of your roof is vital to keeping your home and family safe and dry during South Texas storm weather. Don’t wait until you have a leak or damaged section of your roof to call us. Schedule your FREE roof inspection today! In most cases, hail damaged roofs do not leak immediately, unless it is golf-ball sized or larger. Often times hail damage cannot be seen from ground level. Upon inspection, a few signs can be seen, such as shingle granule loss around gutter downspouts, damaged window screens, or damaged siding. Our team of roofers have had extensive training in identifying hail damage, among other types of roof damage, and will provide roof repair estimates to restore the integrity of your roof. No roof repair is too small or large for Houser Roofing. Don’t wait. Call us today! High winds, hurricanes, and tornadoes can cause damage to a metal, standing seam, or shingle roofs, whether you notice it or not. Missing shingles are an obvious sign of wind damage. In some instances, wind damage cannot be seen from ground level. 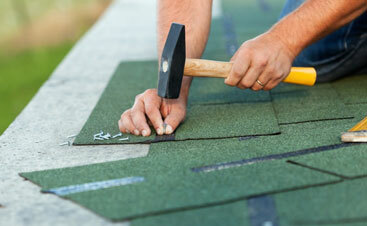 It is highly recommended to have a qualified roofer inspect your roof after a wind storm event. Our team of experts has the knowledge and experience needed to assist you in identifying high-wind damage. Whether it is rain, hail, or an unexpected storm you were not prepared for, our team of roof repair experts have the extensive knowledge to help you. We have licensed insurance adjusters in-house that can assist you with insurance claims. At Houser Roofing, we put quality first. As your local roofers in South Texas, our mission is simple: we put you and your roof’s needs first. Our customers are our priority, and we stop at nothing to ensure that what you have over your head will keep you safe and dry for many years to come. The reason we’re successful is because we continue to deliver on our promise for quality and expert storm damage repair craftsmanship for our customers. Call us today for your free storm damage inspection, and get a free quote for your roof repair. You may also want to consider metal roofing for even better protection against future acts of nature. It can be tempting to wait to repair your roof after storm damage; however, it’s best to repair your roof as soon as possible. If you decide to wait, you subject your home and your family to a variety of potential issues. Attic/Ceiling Damage – Once a roof is damaged, it can leak or affect the internal climate of your home. A leak can begin to erode your attic, which can cost substantially more than a simple roof repair. Your energy bill can rise if your roof is damaged since your roof helps keep your internal climate steady. Mildew/Mold – A damaged roof can allow for mold to begin to grow inside your home. A moist, humid environment like your attic or inside your walls is a prime location for mold to begin its invisible reign over your home. Mold also has numerous negative health benefits. Fire – If water leaks through your damaged roof, it can come into contact with electrical wiring. The liquid can cause a short in wiring, which poses a fire hazard. Water Hazards – A leaky roof can cause water to gather or puddle inside or around the outer edges of your home. This liquid can cause a falling hazard for those living in the home. Structural Integrity – Your home is most likely built out of wood. Water erodes and rots wood. When your roof leaks, it allows water into the structural system of your home, directly affecting its integrity. This can lead to further interior home repairs that cost much more than a roof repair. 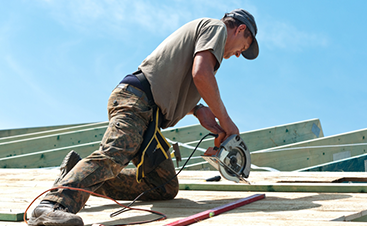 Don’t’ go another day with a damaged roof. Whether your home has endured a storm or you think there’s a leak in your roof, call Houser Roofing today! We offer FREE roofing inspections to ensure yours is functioning properly. Your roof, whether damaged by a storm, will deteriorate over time. However, a roof damaged by a storm is better repaired sooner than later. A roof repair can cost substantially less than if you wait for your roof or home to sustain more damage due to you waiting to address the issue. 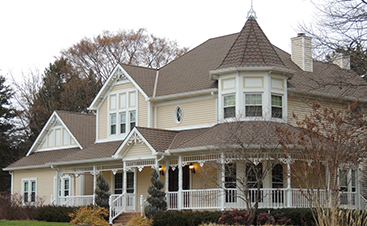 The age of your roof, the type of damage, the potential roof layers beneath, and extra costs that may come up are all factors in restoring the integrity of your roof. At Houser Roofing, we strongly encourage you to get your roof inspected and repaired before it’s too late. Contact us today for a FREE roof inspection!